Not sure how to choose your pendant? Hover your mouse over the arrow next to TESLA PRODUCTS on the left menu  and click on "Choosing your Pendant". When you are ready to order you simply note the pendant/s design name in the comments section at the end of the checkout form, below credit card information. 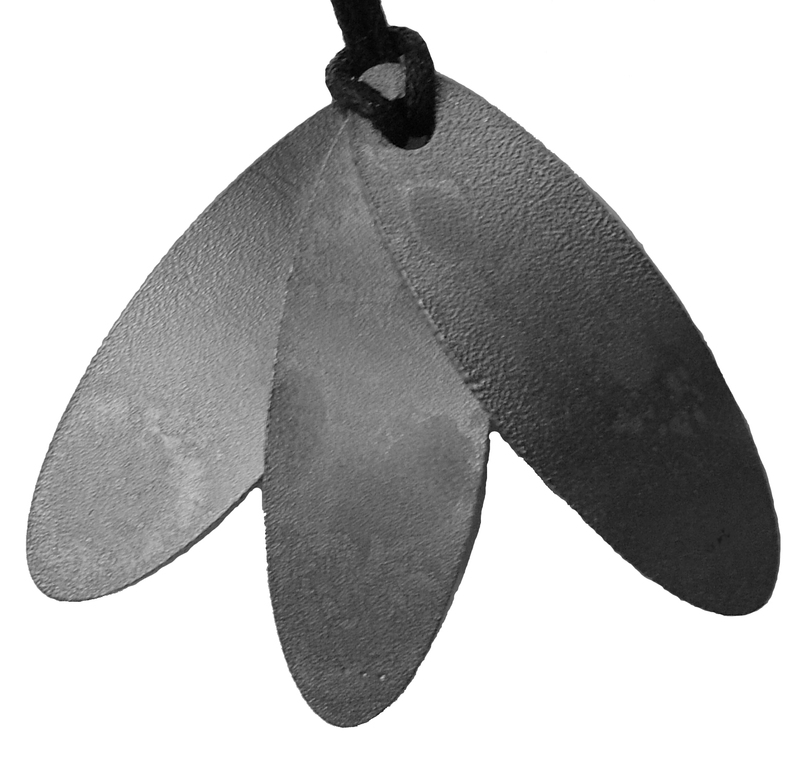 If you would like to wear your pendant on a metal chain you will need a Tesla link. Please request one in the comments section on checkout. You simply thread your pendant onto the Tesla link and close the link. Lastly thread your metal chain through the Tesla link. 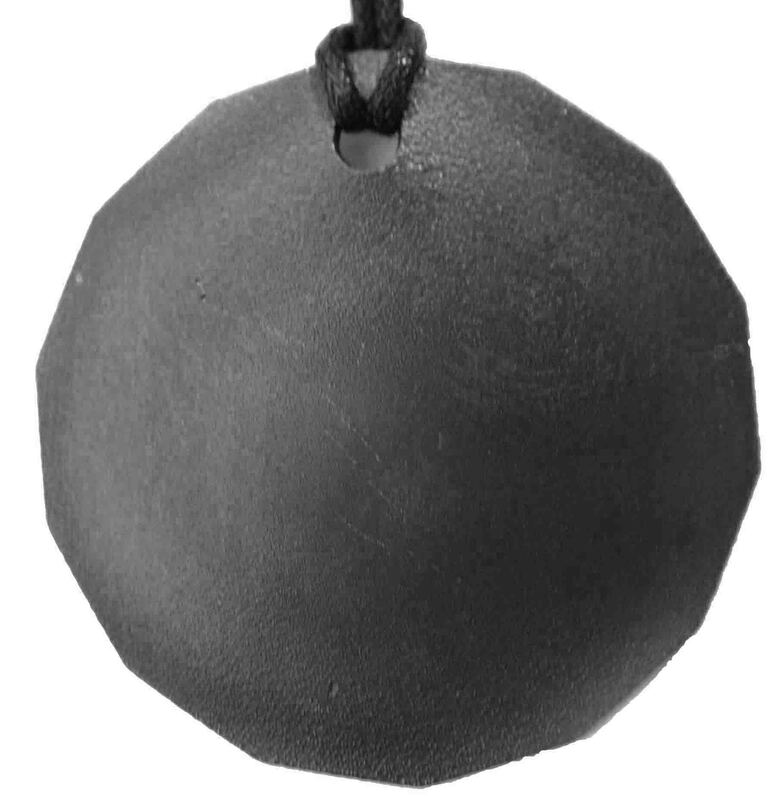 This pendant is oval in shape and smaller than an adult sized pendant. Suitable for children under 12. 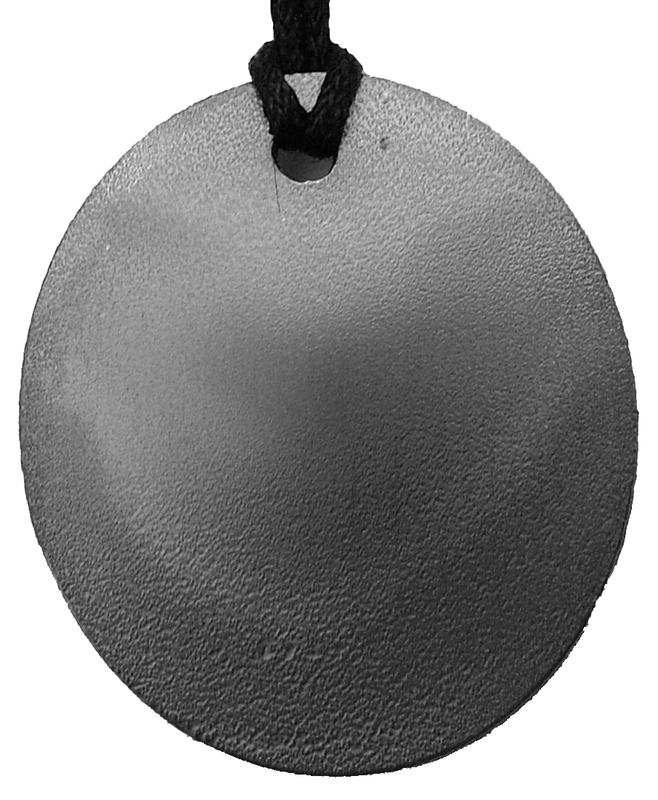 This Personal Pendant can be worn until the child reaches adult size and requires an adult pendant. 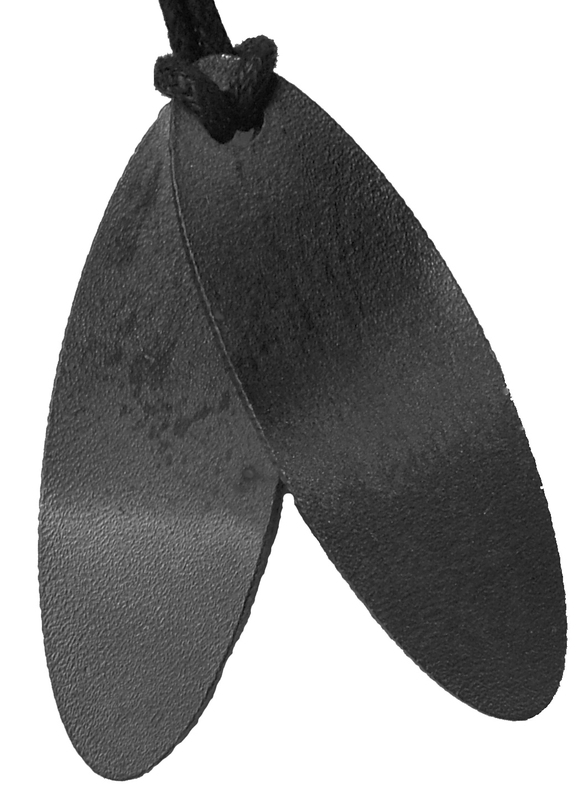 This Personal Pendant comprises of two surfboard shapes. Designed with the contemporary teenager in mind. You first need to choose the basic pendant shape that appeals to you. Do you like the circular and even design? Do you prefer round shapes or angular shapes? You first need to choose the basic pendant shape that appeals to you. Do you like anglular shapes? Is your body sensitive to external stressors, ie computer screens, call centres etc? You first need to choose the basic pendant shape that appeals to you. Can't decide between circular shapes and angular shapes? Are you a person who lives in their mind. Do you replay thoughts and emotions over and over again? You first need to choose the basic pendant shape that appeals to you. Do you like oval shapes? It is very important that  you choose the blank shape that appeals to you. Then you can fill the blank shape with your choice of design. NO PICTURE IS AVAILABLE FOR THIS DESIGN. 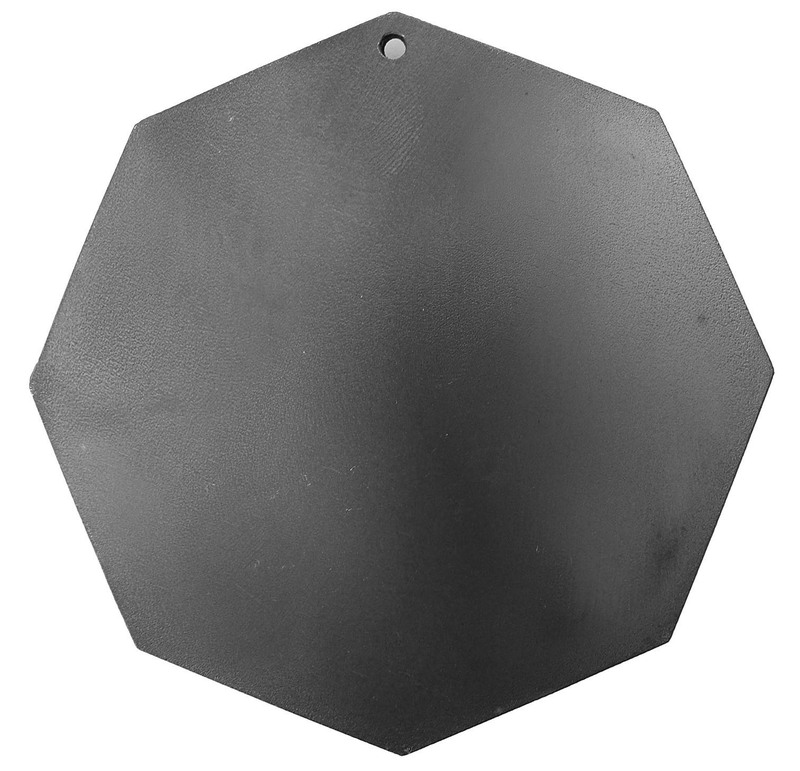 CAUTION 10 - Sided Pendants are not for everyone. They will help push you through a quantum shift. Must be chosen by the person, not suitable as a gift. Only purchase if you have good support networks and are ready to deal with your issues. 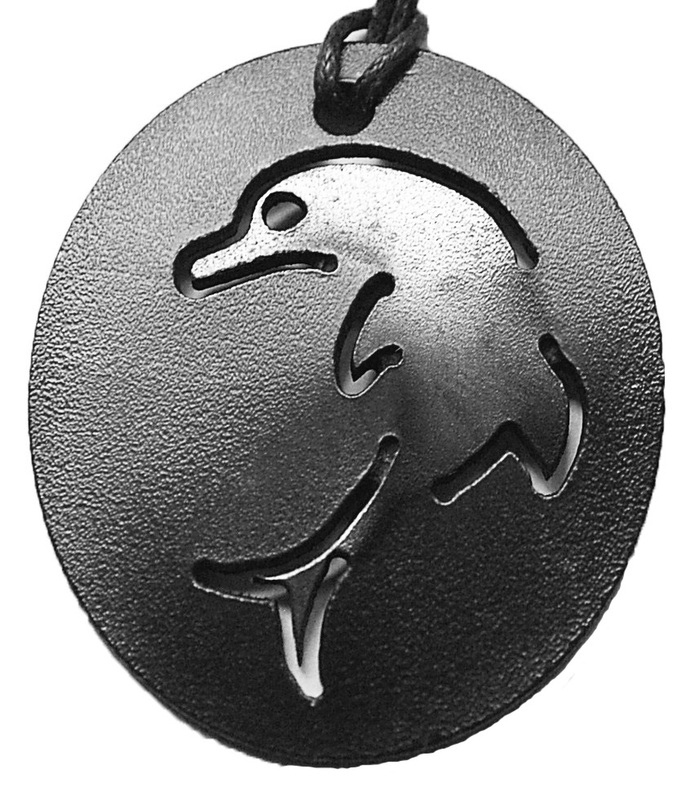 Your Double Dolphin Pendant is approximately ___ cms in diameter and ___ cms in height. 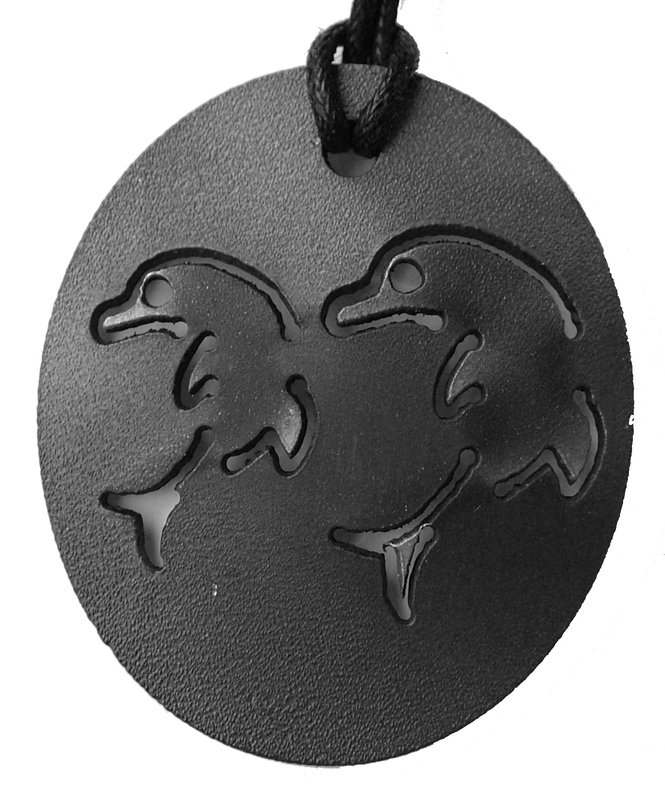 With three surfboards or lotus petals, these pendants appeal to a variety of ages. We've sold this design to 18 year olds and right up to 90 year olds. Not everyone sees this as a 'surfboard' design. Some prefer see them as 'petals' others as 'leaves'. Your Choice of 2 Designs. 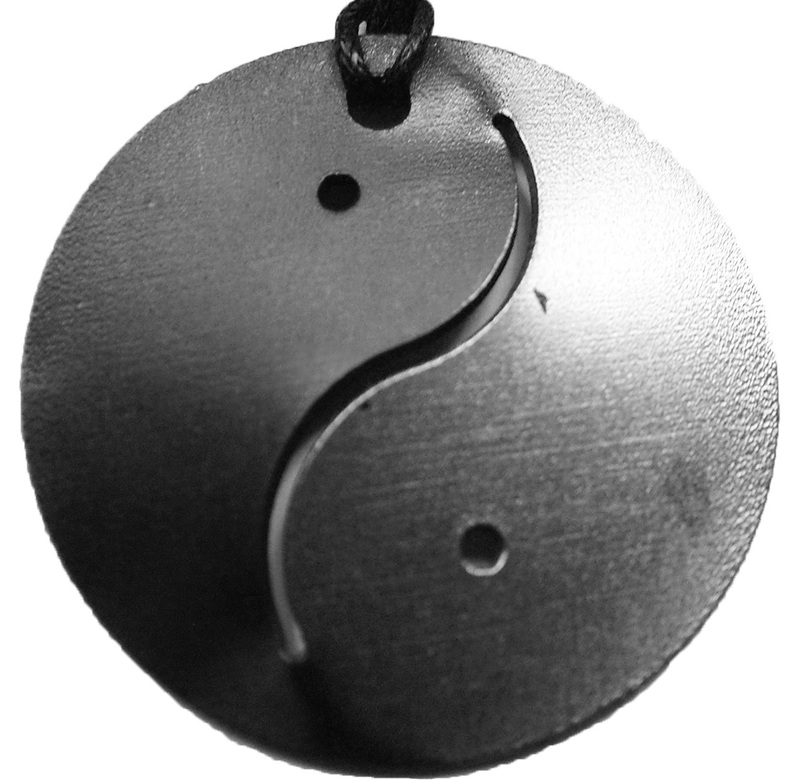 Ying Yang Pendants come in two shapes, Round and 14-sided. This is the Round Ying Yang Pendant. You can choose it in either  PATTERNED/BLUE or SILVER/GOLD. The Ying Yang shapes are most popular with men. Ying Yang Pendants come in two shapes, Round and 14-sided. This is the 14-Sided Ying Yang Pendant.